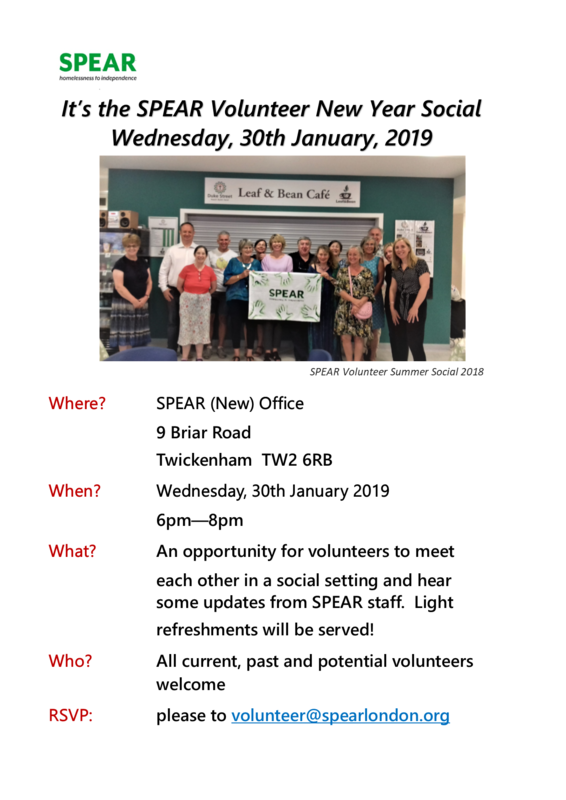 Whether you are a current, past, or potential volunteer with SPEAR, you are warmly invited to join us at our New Year Volunteer Social on Wednesday, 30th January from 6pm until 8pm. The event will take place at our new office near Twickenham Green. 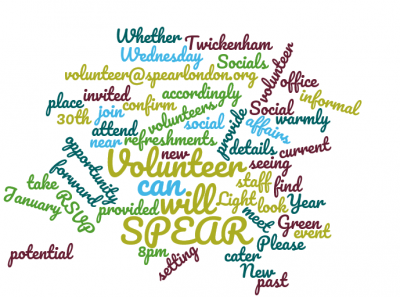 The Volunteer Socials are very informal affairs and provide an opportunity to meet other volunteers and some SPEAR staff in a social setting. Light refreshments will be provided. You can find all the details here. Please RSVP to volunteer@spearlondon.org to confirm you will attend, so we can cater accordingly.